Mr. Price’s practice focuses on civil litigation. He has represented various clients in breach of contract, breach of warranty, negligence, products liability, fraud, defamation, Freedom of Information Act, Administrative Procedures Act, and OSHA matters. He is recognized as a Mid-South Super Lawyer in the area of Business Litigation by Super Lawyers and named to the 40 & Under Hot List and a Labor & Employment Star – South by Benchmark Litigation. 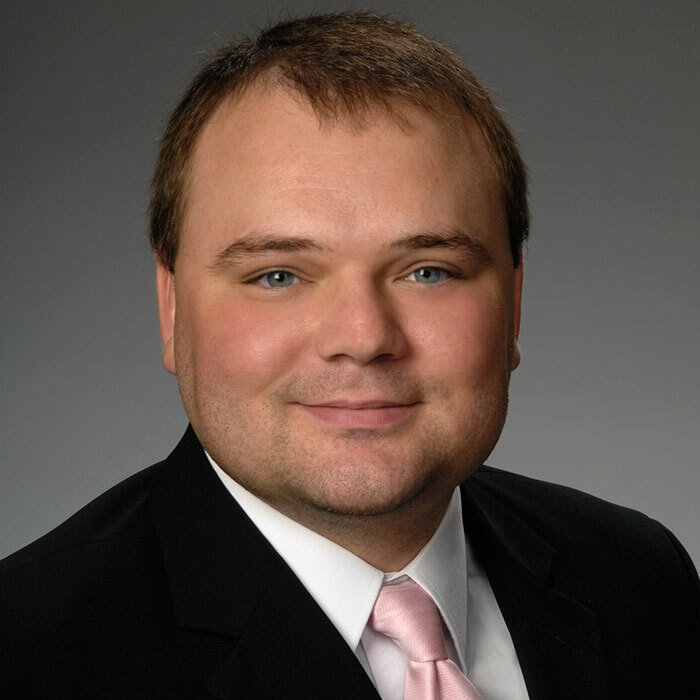 In 2014, Mr. Price was the recipient of the Young Lawyers Section Award of Excellence, which is given to a member of the Arkansas Bar Association’s Young Lawyers Section for outstanding service to the association and community. Mr. Price was a member of the trial and appellate team that successfully defeated an action brought against the Arkansas Game and Fish Commission regarding its leasing of mineral rights to third-party contractors. Mr. Price’s representation ultimately lead to a unanimous Arkansas Supreme Court decision in favor of the client. Mr. Price was also a member of the trial team that obtained summary judgment in favor of the Commission when a citizen accused it of violating the Arkansas Administrative Procedures Act and the Arkansas Freedom of Information Act. Mr. Price served on the defense team that obtained a favorable jury verdict for a client who was sued by a business partner for breach of contract, breaches of fiduciary duties, fraud, and conversion. In that matter, the opposing party sought several million dollars in damages but received an award of zero from the jury. Mr. Price’s experience also includes serving as lead trial counsel in numerous actions where his clients were plaintiffs seeking recovery for another’s unlawful detainer, breach of contract, or negligence. In those matters, Mr. Price’s clients were awarded in excess of $2 million in total. In addition, Mr. Price represents both property owners and condemning authorities in eminent domain matters. Mr. Price represented a local authority in condemning numerous acres of urban property to expand school grounds and received judgments in favor of the local authority in each action that had to be filed. He has also successfully represented property owners in numerous condemnation lawsuits, retaining full-price judgments. In one such matter, the condemning authority sought to take a client’s leasehold interest and refused to pay any sort of compensation to the client. At trial, the jury awarded his client nearly $100,000.00. Mr. Price has also represented citizens in front of local and state governmental bodies to prevent or delay controversial real estate projects. Mr. Price has worked with the Federal Bureau of Investigation, the United States Secret Service, and the United States Attorney’s Office to investigate and, ultimately, convict persons who were guilty of converting corporate assets for personal gain. Mr. Price also coordinates and works with both state and local governments to pass legislation that benefits the citizens of Arkansas. Mr. Price drafted, worked with several legislators, and testified in front of the Arkansas Senate Judiciary Committee to pass Arkansas Code Annotated 27-67-317, which allows the Court to award costs, expenses, and reasonable attorney’s fees to property owners in eminent domain actions brought by the Arkansas Highway and Transportation Department. Prior to this legislation, property owners were without recourse to recover these losses. Mr. Price also worked with the Arkansas Bar Association and Arkansas Legislature to help draft and pass legislation to protect minors. A native of Dyersburg, Tennessee, Mr. Price moved to Little Rock in the summer of 2004 to attend the University of Arkansas at Little Rock William H. Bowen School of Law. Prior to law school, Mr. Price attended the University of Tennessee at Martin where he earned his Bachelor of Science in History, received the Ernest and Wilma Newby Scholarship for the most outstanding male scholar in the university’s history department, participated on the varsity baseball team, and received the Ohio Valley Conference Medal of Honor for accumulating the highest GPA in the conference for a baseball player in 2002. In May of 2007, Mr. Price graduated with high honors from the William H. Bowen School of Law where he served as an Associate Editor of the University of Arkansas at Little Rock Law Review, as a Student Body Association Senator, and as a co-founder and Vice President of UALR’s chapter of the American Constitution Society. In addition, Mr. Price was a participant in UALR’s Mediation Clinic Program and the 2006-07 recipient of the Wilson & Associates Ethics Scholarship, which is awarded to the most outstanding student in UALR’s Professional Responsibility course. While in law school, Mr. Price clerked for the Arkansas Attorney General’s Office and the Honorable John S. Tanner, U.S. Representative for the Eighth District of Tennessee. Mr. Price was admitted to practice in Arkansas in 2007. Mr. Price was also admitted to practice in the United States District Court for the Eastern and Western Districts of Arkansas and the United States Court of Appeals for the Eighth Circuit in 2007. Mr. Price is a 2014 graduate of the Arkansas Bar Association’s Leadership Academy. “Even Courts Are Going Green. How to Protect Yourself From Greenwashing Litigation.” USLAW Magazine, Spring/Summer 2012. “Even Courts Are Going Green. How to Protect Yourself From Greenwashing Litigation.” Arkansas Lawyer, Winter 2013. Contributor to “Arkansas Disaster Assistance Manual: A resource for attorneys providing pro bono legal assistance to the victims of natural disasters,” Arkansas Bar Association, Young Lawyers Section. Contributor to “State of Arkansas Compendium of Law,” USLAW. “Litigation for the Small Business Owner,” Arkansas Bar Association, Young Lawyers Section (University of Central Arkansas, October 2014). “The How-To’s of Evictions in Arkansas,” Annual Meeting, Affordable Housing Association of Arkansas (North Little Rock, Arkansas, June 2014).